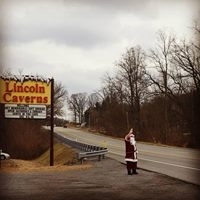 Santa will be stopping by Lincoln Caverns to pay us a visit. Come visit him in our natural underground environment. Professional digital photographs provided by MJEMS Photography with a suggested donation of $5.00 to HUNTINGDON FORUM OF CHURCHES FUEL FUND. While you are here you can also look around our gift shop with many unique holiday ideas for your friends and family. Shop Santa's Little Helpers' BOGO Holiday Sale. We invite all ages to shop for unique gifts at affordable prices. All holiday, family, and clearance items are buy one, get one free.